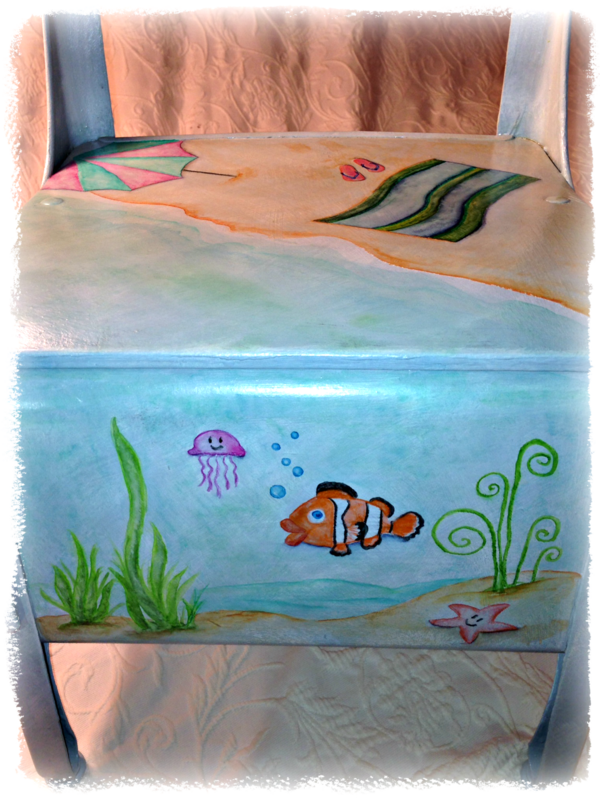 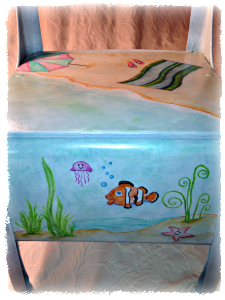 “under the sea” child’s desk | Vintage Joy Etc. 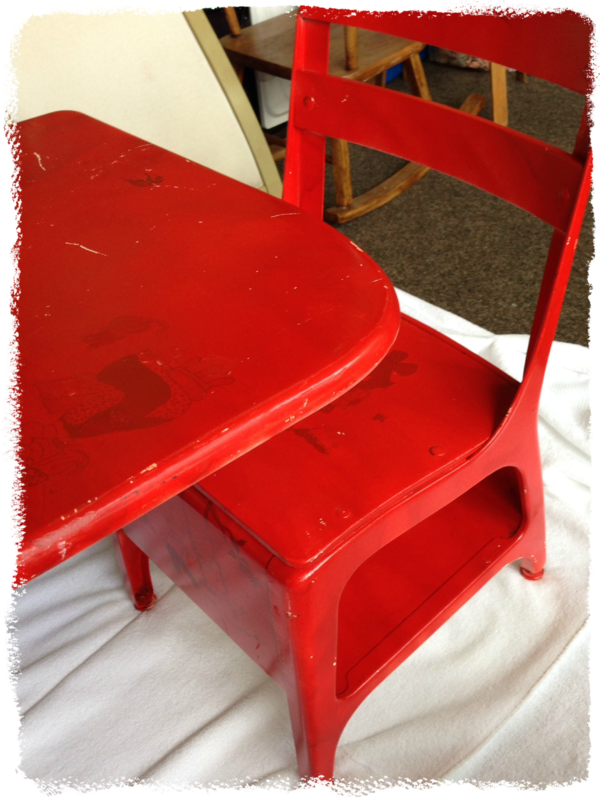 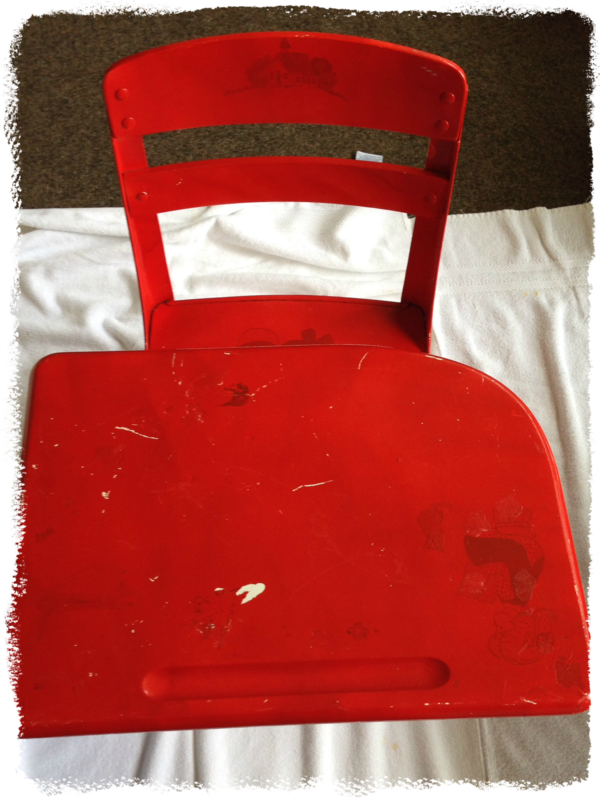 of course i used annie sloan chalk paint (in duck egg blue) to cover up that horrible red (& all the other issues with this small desk) then dry brushed on some old white. 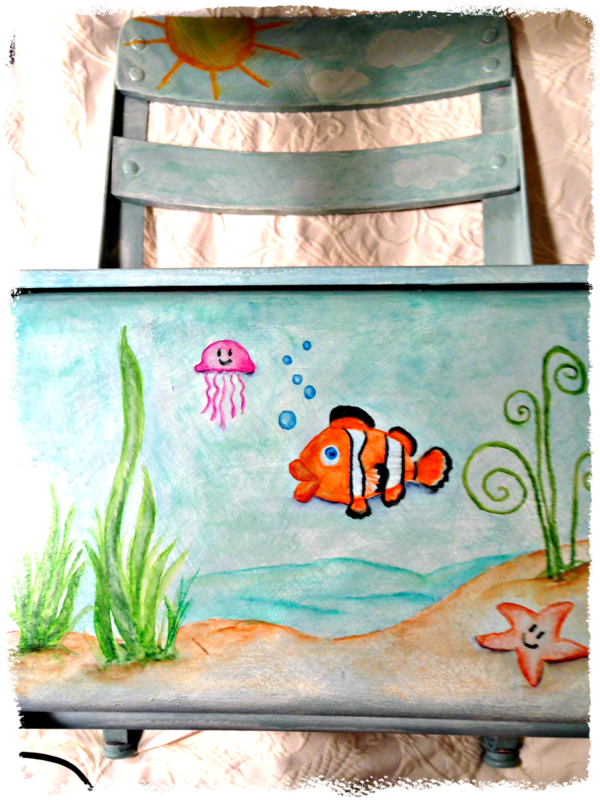 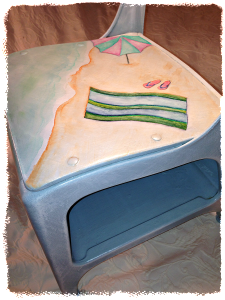 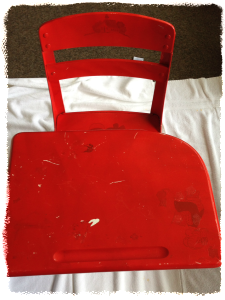 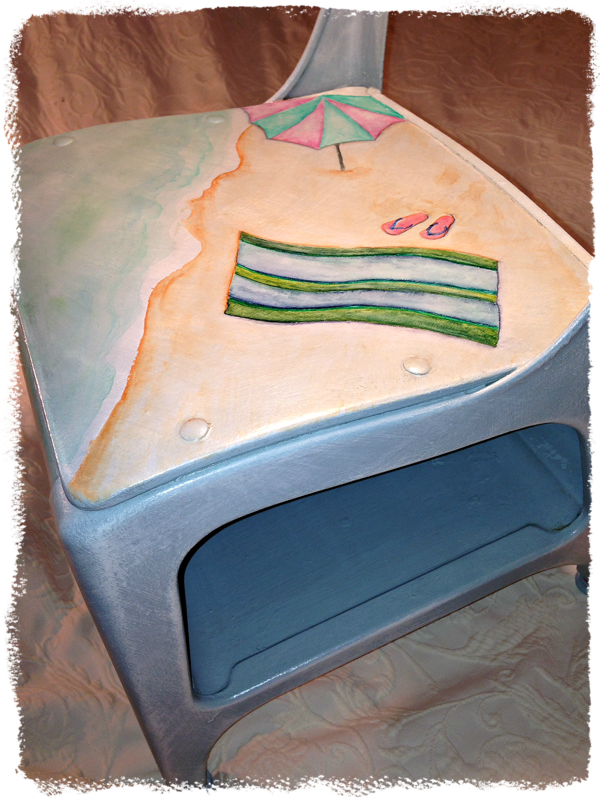 i wanted to paint a beach/under the sea theme i had envisioned in my mind so i sketched some basic outlines with a white chalk pastel pencil, then started watercoloring, using inktense pencils on the base, seat and on the back of the chair.